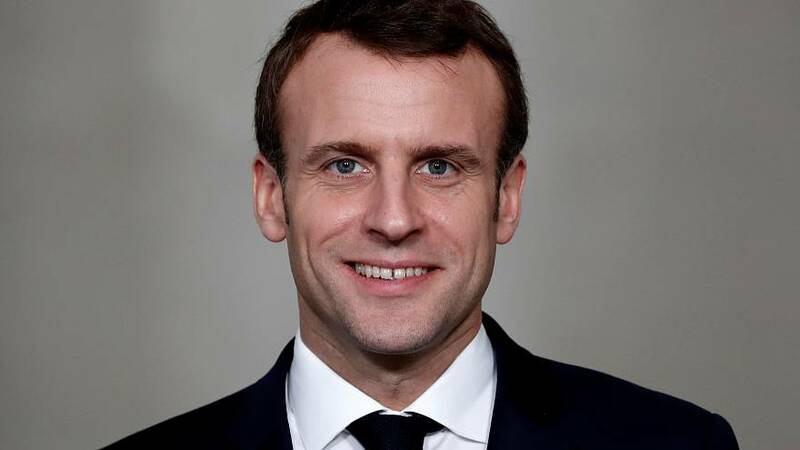 Emmanuel Macron has launched his 'Great Debate' which he says is aimed at transforming the anger behind weeks of national protests into a blueprint for future policies. Set out four main areas as a framework for the discussion: tax and government spending; public services; the environment; and how the people's views are represented. In a period of doubt and reflection like the one we are witnessing today, we must remember who we are. France is a country unlike any other. The feeling of injustice is more alive than elsewhere. The demand for help and solidarity stronger. In our country, those who work pay for retirees' pensions. In our country, a large number of citizens pay an income tax, sometimes burdensome, which reduces inequalities. In our country, education, health, security, justice are accessible to all regardless of their circumstances or wealth. The hazards of life, such as unemployment, can be overcome, thanks to this effort shared by all. That is why France is, of all nations, one of the most fraternal and the most egalitarian. It is also one of the freest, since everyone is protected in his rights and in his freedom of opinion, conscience, belief or philosophy. And every citizen has the right to choose those who will represent him in the running of the country, in the design of laws, in taking major decisions. Everyone shares the fortunes of others and everyone is called to decide the common destiny: the French nation is all that. How can anyone not feel proud to be French? I know, of course, that some of us today are dissatisfied or angry. Because taxes are too high for them, public services too distant; because wages are too low for some to be able to enjoy with dignity the wages of their work; because of the fact that our country does not offer equal chances of success to families from all backgrounds and areas. Everyone would like a more prosperous country and a fairer society. I share this impatience. The society we want is a society in which to succeed one doesn't need relationships or fortune, but effort and work. In France, but also in Europe and in the world, not only a great sense of unease, but also a great concern have taken over people's hearts. We must respond with clear ideas. But there is one condition: to accept no form of violence. I do not accept, and do not have the right to accept pressure and insults, for example against the elected representatives of the people, I do not accept and do not have the right to accept attacks on the media, journalists, institutions and officials. If everyone attacks everyone, society unravels. In order for hope to overcome fear, it is necessary and legitimate for us to explore together the great questions concerning our future. That is why I proposed and I am launching today a great national debate that will run until March 15. In recent weeks, many mayors have opened their town halls so that you can express your wills. I have had much feedback to consider. We are now entering a larger phase and you will be able to participate in debates near your home or express yourself on the internet to put forward your proposals and your ideas - in France, overseas territories and among French residents abroad. In villages, towns, neighbourhoods, on the initiative of mayors, elected officials, community leaders, or ordinary citizens ... in parliamentary assemblies both regional and departmental. Mayors will have an essential role because they are your elected representatives and therefore the legitimate intermediaries to give voice to the people. For me, there are no questions off limits. We will not agree on everything, that's to be expected, it's democracy. But at least we will show that we are a people who are not afraid to speak, to exchange viewpoints, to debate. And perhaps we will discover that we can agree, at least a majority of us, notwithstanding our political positions, more often than we think. I have not forgotten that I was elected with a project, of which I remain faithful to its foundations. I am resolute in thinking that we must restore France's prosperity so that it can afford to be generous because one goes with the other. I am resolute in thinking that the fight against unemployment must be our top priority and that employment is created first and foremost in companies, so we must give them the means to prosper. I am resolute in thinking that we need to rebuild a school of trust, a renewed social system to better protect the French and reduce the inequalities at their causes. I am resolute in thinking that the depletion of natural resources and climate change force us to rethink our development model. We must invent a new productive, social, educational, environmental and European project that is fairer and more effective. On these major axes, my determination is unchanged. But I also think that out of this debate can come a clarification of our national and European project, new ways of looking at the future, new ideas. I hope that the largest possible number of French people, the largest possible number of us, can participate in this debate. This debate will have to answer key questions that have emerged in recent weeks. That is why, with the Government, we have chosen four major themes that cover many of the major issues of the nation: taxation and public spending; the organization of the state and public services; the ecological transformation; democracy and citizenship. On each of these themes, proposals, questions have already been expressed. I wish to frame some that do not close down the debate but seem to me at the heart of our questions. The first topic deals with our taxes, our expenses and public action. Tax is at the heart of our national solidarity. It is what finances our public services. It pays teachers, firefighters, police, military, magistrates, nurses and all the public servants who work for you. It makes it possible to pay social benefits to the most vulnerable in society but also to finance major projects for the future, in our science, in our culture, or to maintain our infrastructure. It is also the tax that pays the interest on the very significant debt that our country has incurred over time. But taxes, when they are too high, deprive our economy of resources that could be used constructively to invest in businesses, thereby creating jobs and growth. And it deprives workers of the wages of their work. We will not go back on the steps we have already taken to correct this to encourage investment and make work pay. They have recently been approved and are just beginning to deliver results. Parliament will evaluate them in a transparent way and with the necessary analysis. On the other hand, we must question whether we need to go further. How can we make our tax system fairer and more efficient? Which taxes do you think should be lowered first? We can not, in any case, pursue tax cuts without lowering the overall level of our public spending. What are the savings that you think are priorities? Should we remove some public services that are outdated or too expensive compared to what they deliver? Conversely, do you see new needs for public services and how could they be financed? Our social model also needs to be questioned. Some consider it insufficient, others too expensive because of the contributions they are obliged to make. The effectiveness of training within employment services faces much criticism. The government has started to respond, after wide consultations, through a strategy for healthcare, to fight poverty, and to combat unemployment. How can we better organize our social pact? Which objectives should be prioritized? The second subject on which we must make decisions is the organisation of the State and public authorities. Public services have a cost, but they are vital: schools, the police, the army, hospitals and courts are essential to our social cohesion. Are there too many administrative levels or levels of local government? Should we reinforce decentralisation and move power over decisions and actions closer to the citizens? At what levels and for which services? How would you like the state to be organised and how can it improve its operation? Should we review the functioning of the administration and how? How can the state and local authorities improve to better respond to the challenges of our most troubled territories and what do you propose? The ecological transformation is the third theme, essential to our future. I am committed to the objectives of preserving biodiversity and combating global warming and air pollution. Today no one disputes the urgent need to act quickly. The longer we delay posing these questions, the more painful the changes will be. Making the ecological transformation can reduce households' spending on fuel, heating, waste management and transportation. But to succeed in this transformation, we must invest heavily and support our less well-off citizens. National solidarity is essential so that all French citizens can achieve this. How do we finance the ecological transformation: by income tax, by other taxes and who should be in the front line? How do we make concrete solutions accessible to all, for example, to replace old heating systems or cars? What are the simplest and most financially sustainable solutions? What are the solutions for moving, housing, heating, feeding that should be designed at the local rather than the national level? What concrete proposals would you make to accelerate our environmental transformation? The issue of biodiversity is also an issue for us all. How do we guarantee scientifically the choices we have to make in this regard? How can we share these decisions at the European and international level so that our national producers are not penalised in relation to foreign competitors? Finally, it is clear that the period that our country is going through shows that we need to give empower democracy and citizenship. Being a citizen means helping to decide the future of the country by electing representatives at the local, national or European level. This system of representation is the bedrock of our Republic, but it must be improved because many do not feel represented after the votes. Should absentions be recognised? Should we make voting compulsory? What is the right level of proportional representation in parliamentary elections for a fairer say to be given to all political perspectives? Should we, and how, limit the number of parliamentarians or other elected officials? What role should our assemblies, including the Senate and the Economic, Social and Environmental Councils, play in representing our territories and civil society? Should we transform them and how? In addition, a great democracy like France must be able to listen more often to the voice of its citizens. What changes do you want to make citizen participation more active, democracy more participative? Should unelected citizens, chosen at random, have greater and more direct involvement in public decision making? Should we increase the use of referendums and who should decide on how and when? Citizenship is also about living together. Our country has always known how to welcome those who have fled wars, persecution and sought refuge on our soil: it is the duty of asylum, which can not be called into question. Our national community has also always been open to those who, born elsewhere, chose France in search of a better future: this is how it was built. However, this tradition is today shaken by tensions and doubts related to immigration and the failures of our integration system. What do you propose to improve integration in our Nation? When it comes to immigration, once our asylum obligations are fulfilled, do you want us to be able to set annual targets set by Parliament? What do you propose to answer this challenge that will last? The question of secularism is still subject to significant scrutiny in France. Secularism is the primary value that allows different beliefs, religious or philosophical, to live together in harmony and mutual understanding. It is synonymous with freedom because it allows everyone to live according to their choices. How can we strengthen the principles of French secularism, in the relationship between the state and the religions of our country? How can we ensure everyone's respect for the mutual understanding and intangible values of the Republic? In the coming weeks, I invite you to debate to answer these questions which are crucial for the future of our nation. I also hope that you can, beyond these topics that I propose to you, bring up any concrete subject which you feel could improve your daily life. This debate is an unprecedented initiative which I am determined to make count. This is neither an election nor a referendum. It is your personal expression, corresponding to your personal stories, your opinions, your priorities, which we need to hear, disregarding age or social status. It is, I believe, a great step forward for our Republic to consult its citizens in this way. To guarantee your freedom of speech, I want this consultation to be organized in complete independence, and be framed by all the guarantees of trust and transparency. This is how I intend to transform, along with you, anger into solutions. Your proposals will, therefore, make it possible to build a new contract for the Nation, to structure the action of the Government and the Parliament, but also the positions of France at the European and international level. I will report back to you directly during the month following the end of the debate. Frenchmen and women, I hope that as many of you as possible can take part in this great debate in order to make a valuable contribution to the future of our country.